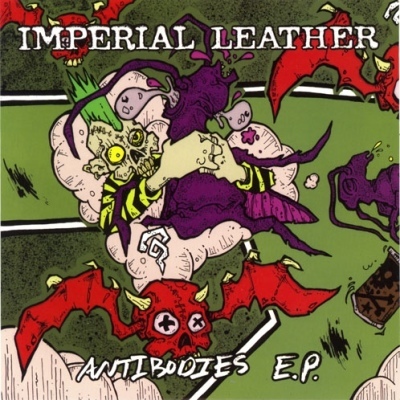 Four new songs with the new and improved Imperial Leather line-up, playing their hallmark style of rip-roaring punk rock'n'roll that's catchy as all hell. If you are still not enlightened, IMPERIAL LEATHER are ex-members of such legendary bands as NO SECURITY, DS-13, etc. with Amyl of the infamous NYC all female outfit SPIDER CUNTS on lead vocals and in your face attitude. The have just completed their third US tour, during which this EP was released, and are now jetting back to Sweden, fired up for the next release and another round of adventures.